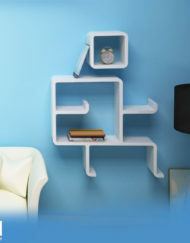 The Dinosaur wall shelf is a decorative shelving unit that combines its unique design with the function you crave. 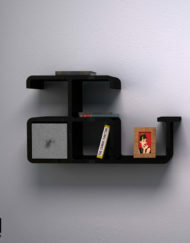 This modern shelf system allows for fun and secure ways to display your personal items such as books, souvenirs, plants, photographs and more. 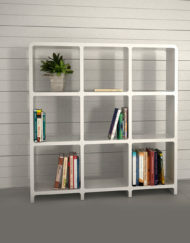 Available as a white decorative shelving system or in a sharp black, it integrates well with any type of home decor you may have. 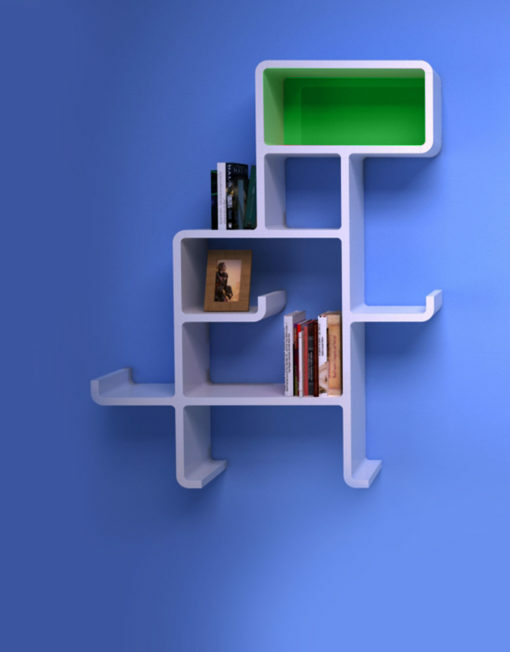 It includes 1 Green and 1 Blue back panel so you can choose the face color and the shelving system is modular so you can customize the design. 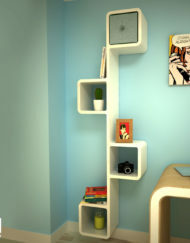 The design is extremely easy to assemble. 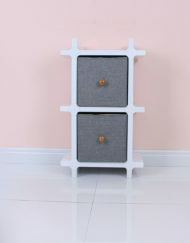 Just combine the provided parts together, lock them with the pins and you have a fun and durable modular system that will give every room a fun focal piece. 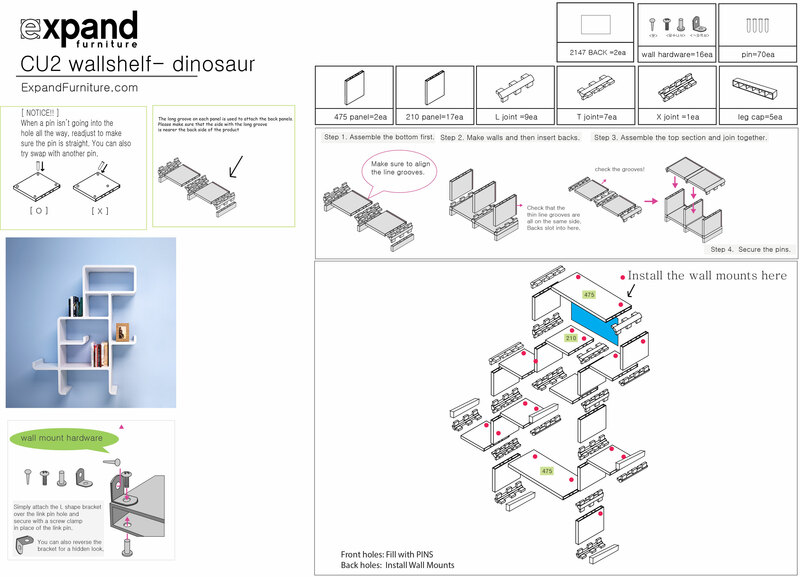 The Dinosaur shelving system can be assembled completely to look like a dinosaur, or you have the option to assemble parts of it to create several separate units such as a storage cube or multi­level shelves. 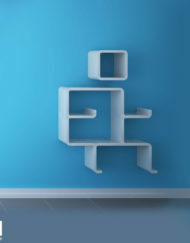 If you decide to change the design, taking the system apart is as easy as it was to assemble. 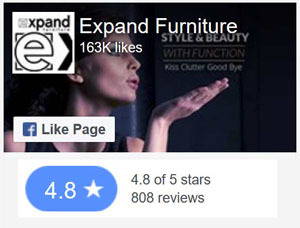 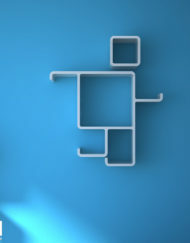 Looking for another design? 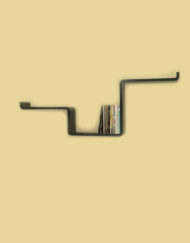 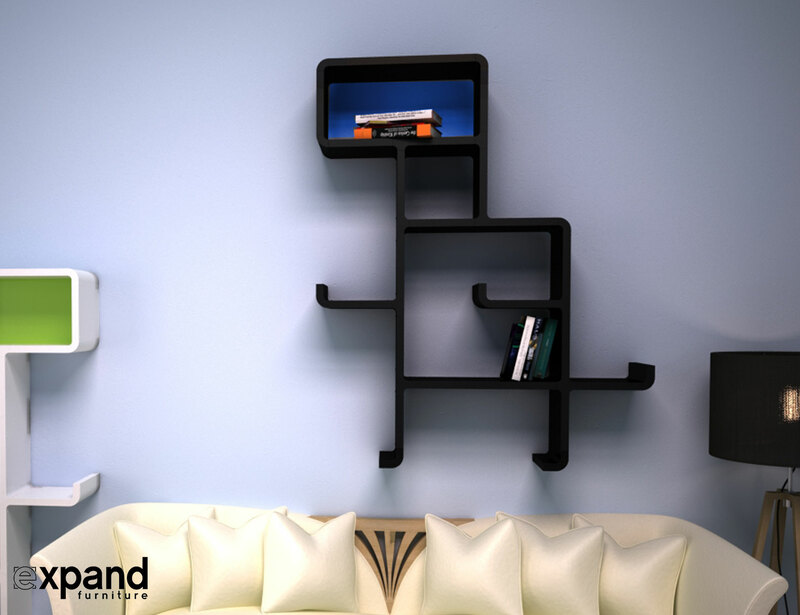 Check out the Staggered CX2 Shelves or the Musical Note Shelf. 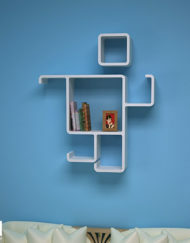 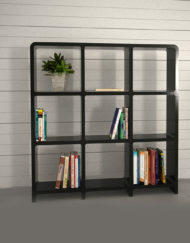 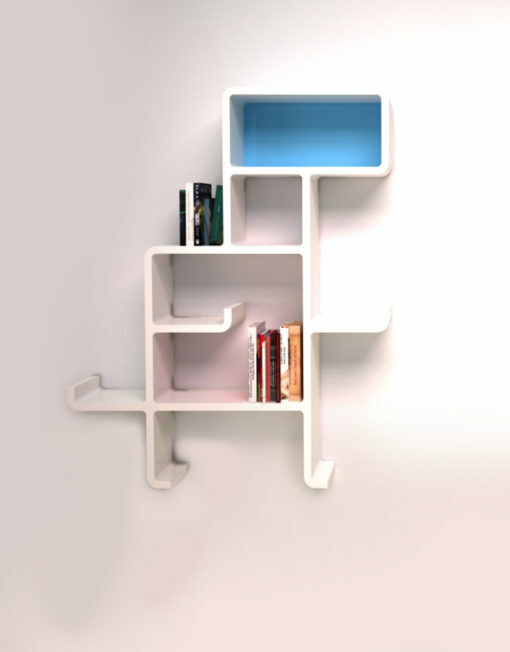 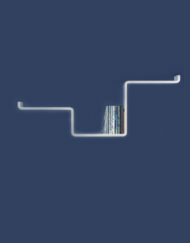 The Dinosaur modular shelving system is a great addition to any room. 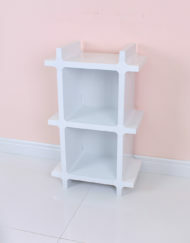 The non­toxic and formaldehyde free plastic makes it a great choice for nurseries or children’s rooms; rounded corners make it not only visually attractive but also safe for children to be around. 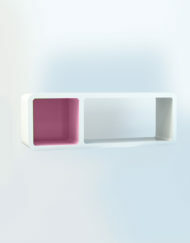 It even is suitable for use in bathrooms because the plastic is very resistant to fungus or mold growth. 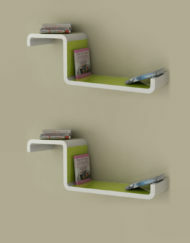 Plus, the material is so easy to wipe and keep clean. 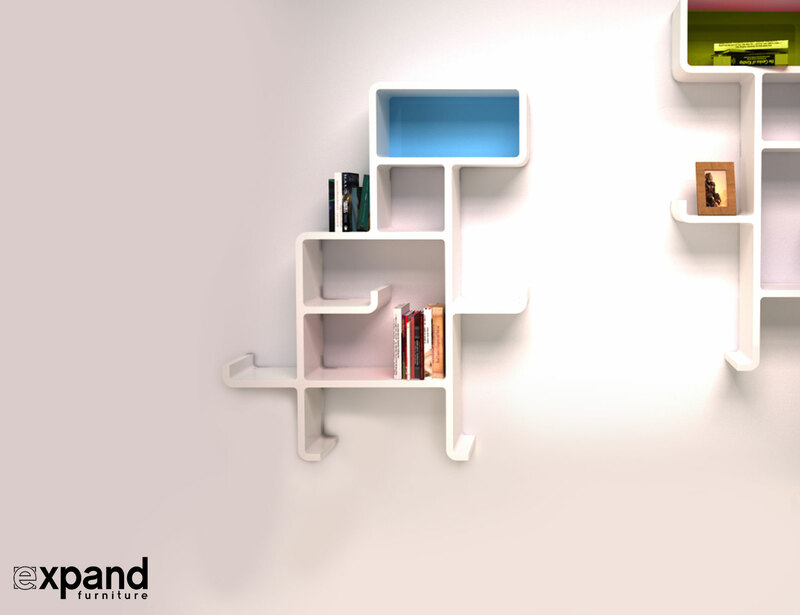 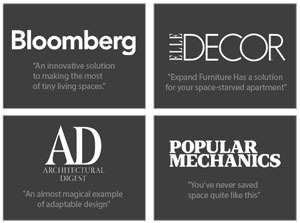 When choosing the an Expand Modular wall system, you get a decorative shelving system that offers limitless application options. 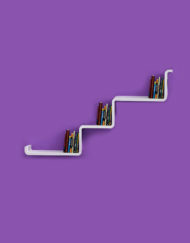 A fun and practical addition to any room, it grows and transforms with your needs. 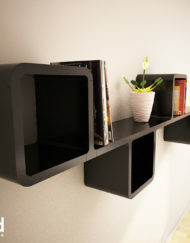 You may also transform it into several storage cubes that can be wall­ mounted or placed on the floor, create monitor risers for your work­ space and much more. 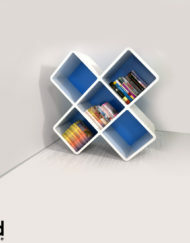 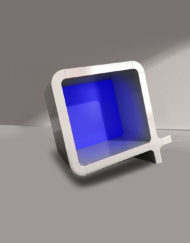 By providing you with a back panel in blue and green, you are able to change up the design even further. 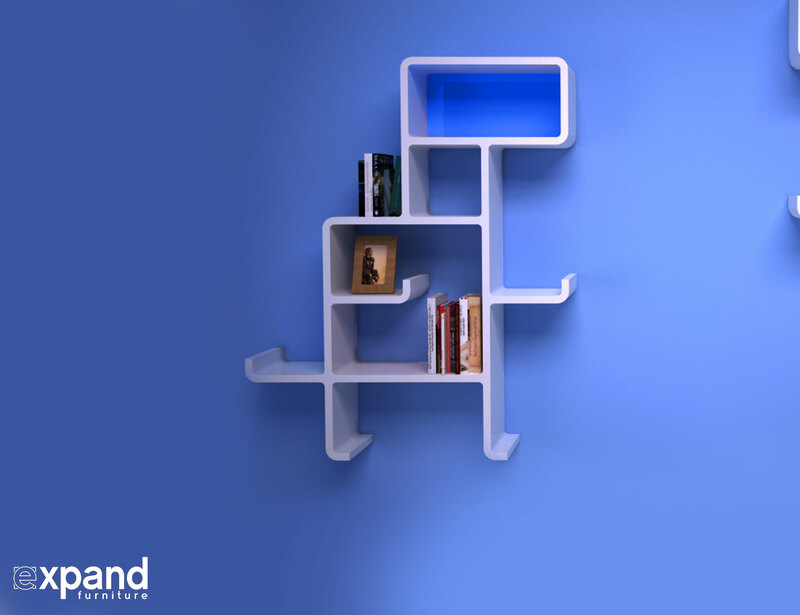 The Kit is a completely personalize-able and easy to assemble system that will bring fun and functionality to any area of your home. 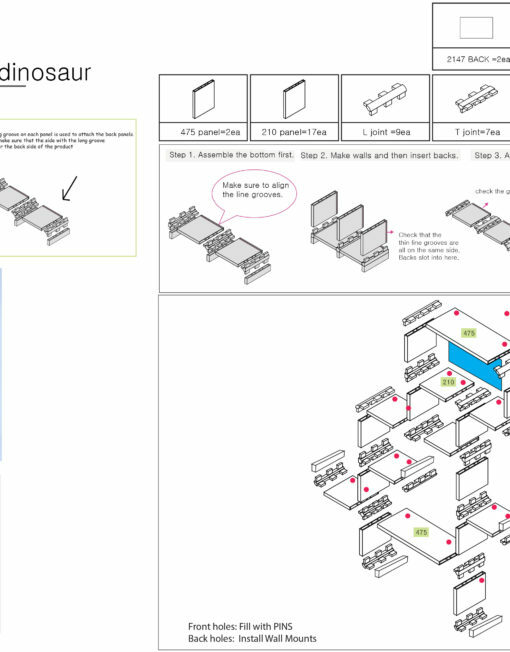 The original dinosaur design measures 129 cm (50.8 in) and 105.5cm (41.5in) wide. 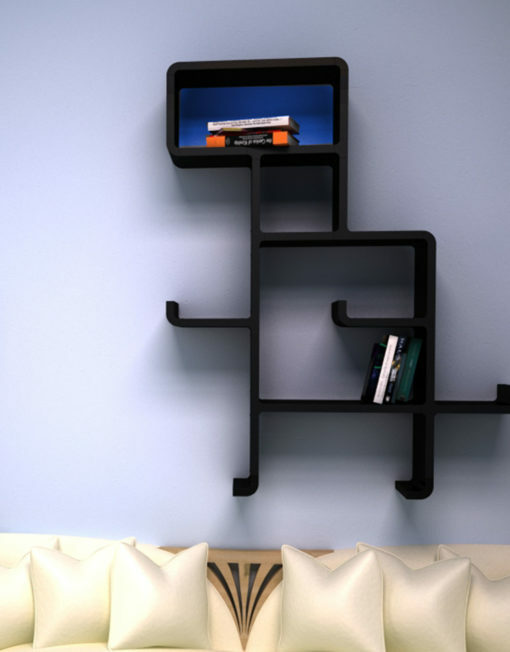 Use extra anchors for strength if you have heavy items for this shelf. 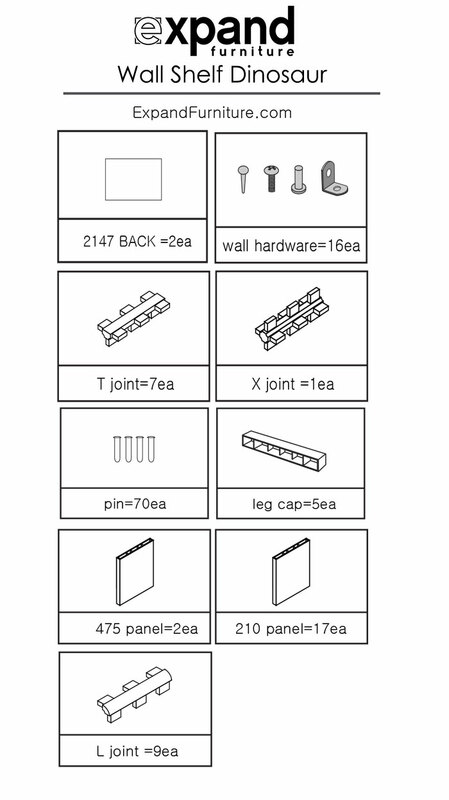 Intended for light items if you screw directly into drywall. 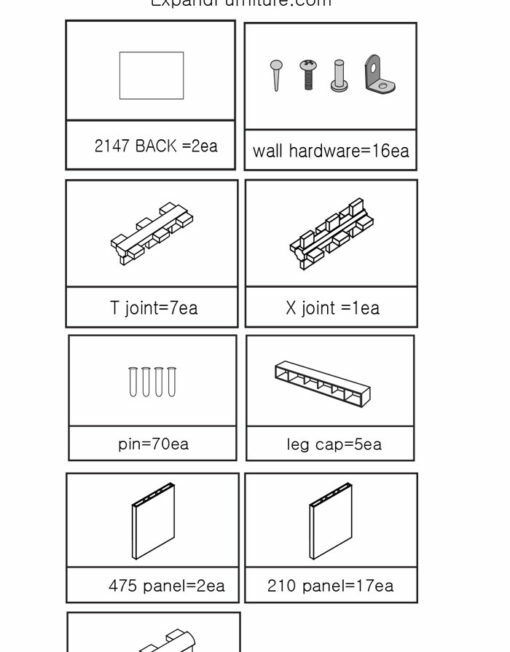 We recommend using some wall anchors for heavier items.